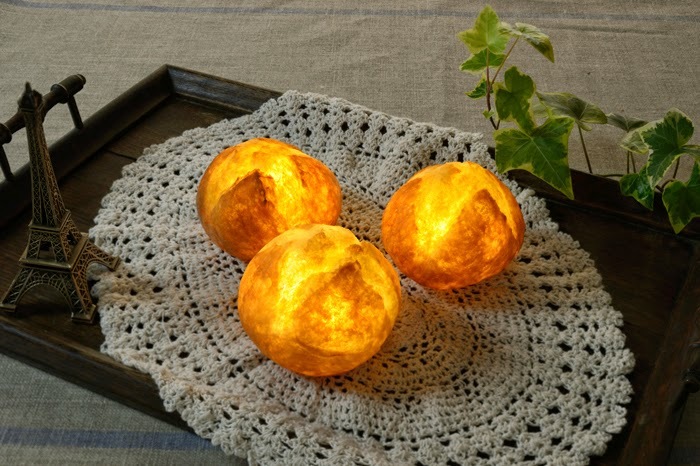 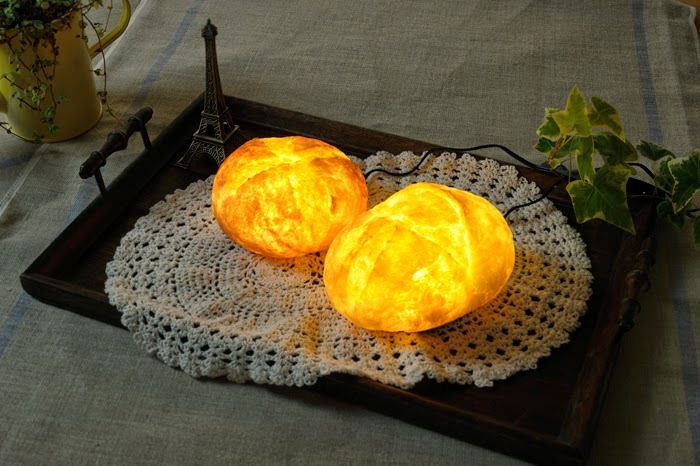 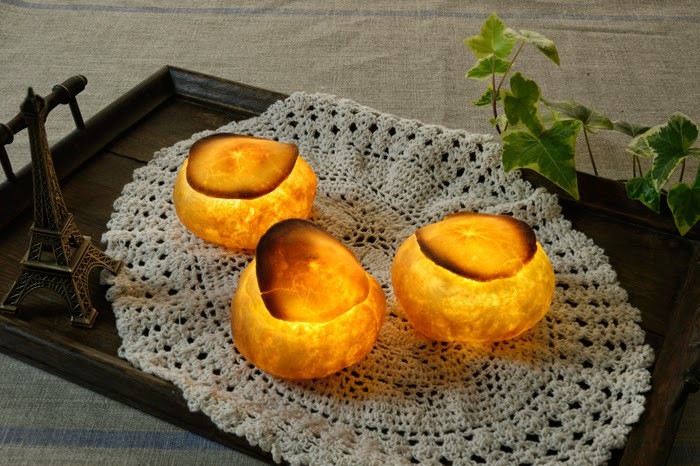 Designer Yukiko Morita who has worked at a bakery in her native Kyoto eight years ago, has created exhibited 'Pampshades', Freshly Baked Lamps which gives new meaning to burning carbs. 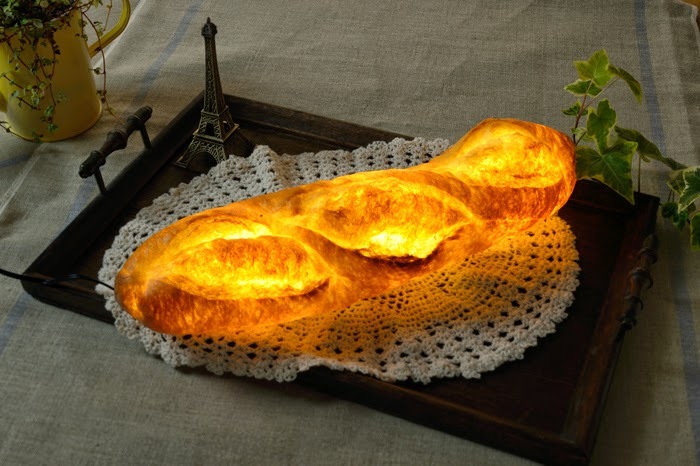 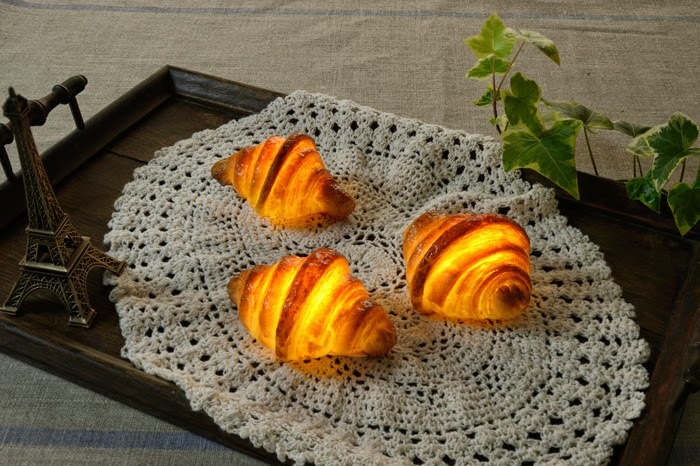 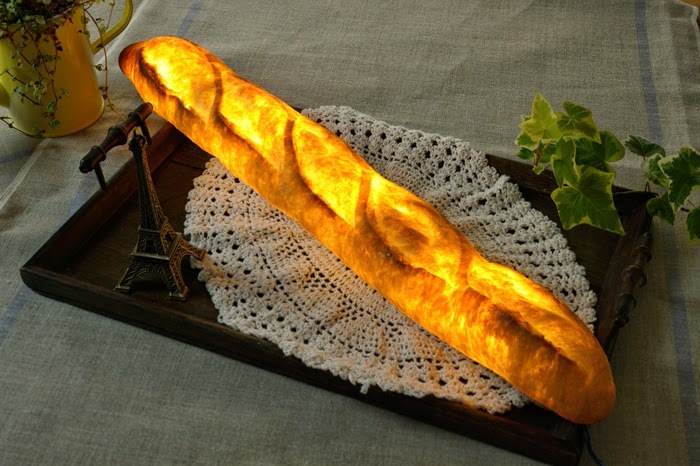 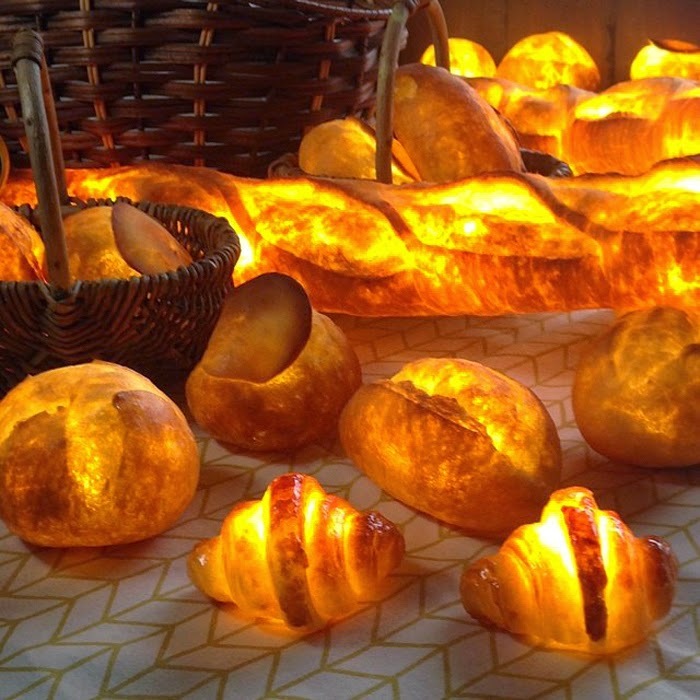 Instead of using flour, salt and yeast, its covered in resin and filled with LEDs. 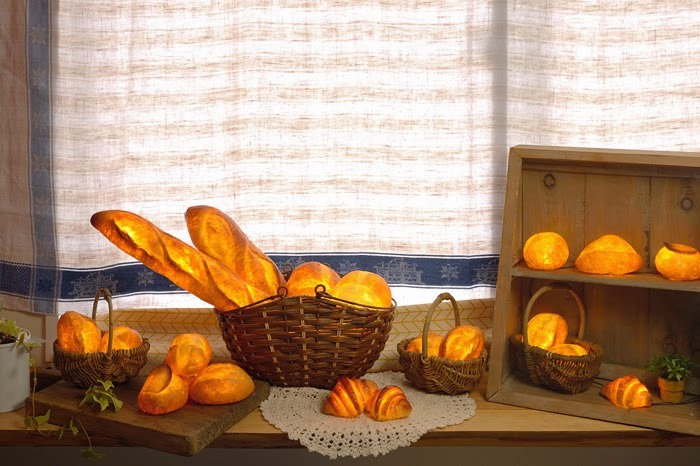 The larger baguettes, batards and boules plug in to a wall socket, while the smaller series – petits boule, coupe, shampignon and croissant – run on batteries. 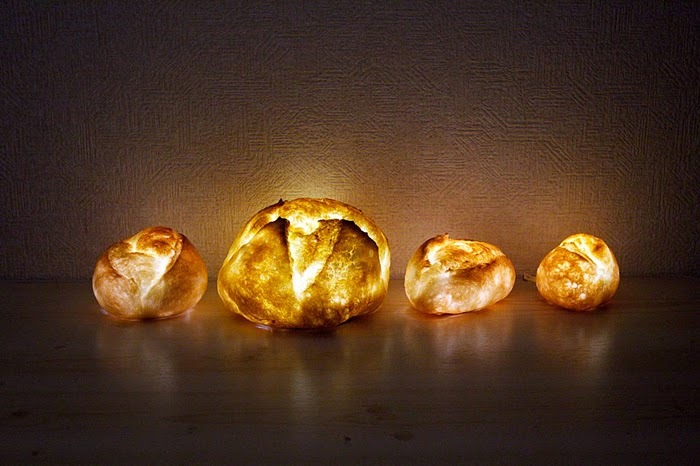 Prices range from $39 to $83.